This month Jetten Shipyard has handed-over a full Custom motor yacht. The 73 feet long yacht has been designed by Guido de Groot Design. Jetten choose Van Oossanen as Naval Architect, so the highest possible safety and performance standards in this elegant hull design could be achieved. 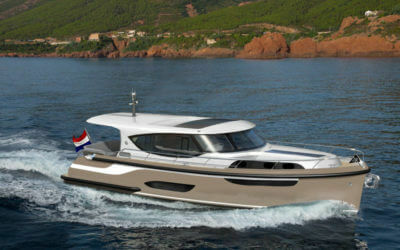 The yacht is equipped with Van Oossanens CFD (Computational Fluid Dynamics) and revolutionary FDHF (Fast Displacement Hull Form). The Custom motor yacht has two gyro stabilisers and an interceptor system for optimal sailing characteristics. For the propulsion 2 x 1100 hp Scania Diesel engines where chosen. 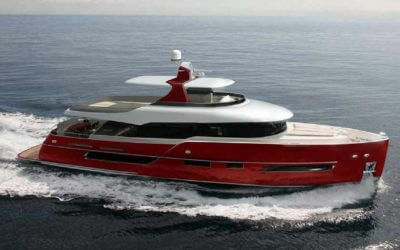 The displacement aluminium motor yacht can therefore reach a speed of 27 knots. This motor yacht is particularly suitable for comfortably cruising long distances and is fully equipped at the customer wishes. Jetten builds both fully custom and their series yachts at customers wishes.